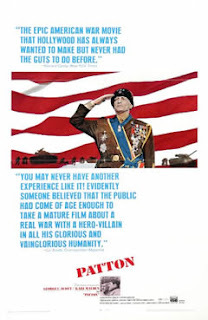 Dude - Patton is one of my all time favorite films! LOVE IT! Guy: Thanks for the comment, and for stopping by! PATTON is an undisputed classic, and I try to watch it at least once a year. Scott was absolutely remarkable. And everyone: check out http://www.videowordmadeflesh.com for some great movie reviews! You know, I keep meaning to check this out, Dave. Although, as an additional point of trivia, for you? Apparently, Field Marshal Montgomery was supposed to be harder to General Patton!